You can have your house, flat, or workplace renovated partially or entirely by professional handyworkers. 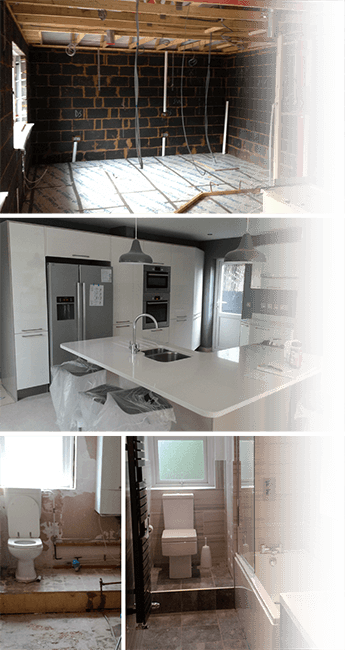 Fantastic Handyman provides full-service refurbishment in London for all types of properties! So just tell us what kind of improvements you want for your place and let the experts handle the job. Fantastic Handyman can help you with anything from simple room partitioning to complete property refurbishment. So tell us all about your home renovation ideas and let the professionals handle all the work. We give a quote only after a survey where we define and discuss what needs to be done. Each renovation project is personalized depending on customer needs and carefully discussed and revised with the customer. After that we send you a written estimate with a breakdown including all work-related costs - both labour and materials required. Nobody wants a renovation project to continue for years. 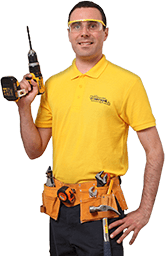 So, you can rely on Fantastic Handyman 7 days a week and even evenings in order to minimize disruption and finish the projects quickly and efficiently. We value our customers and collect feedback after every project. Each multi-trader’s performance is evaluated based on customer feedback as well as we use it for further improvement of our services. This way we guarantee high quality and full customer satisfaction. You can easily book an appointment for a survey and further discussions of your project simply by using the online booking form or the GoFantastic App. You can use the application to book other services like after builders cleaning, gardening, pest control, and much more. If you have any questions you need quick answers to, contact us via phone or chat and let us help you right away.